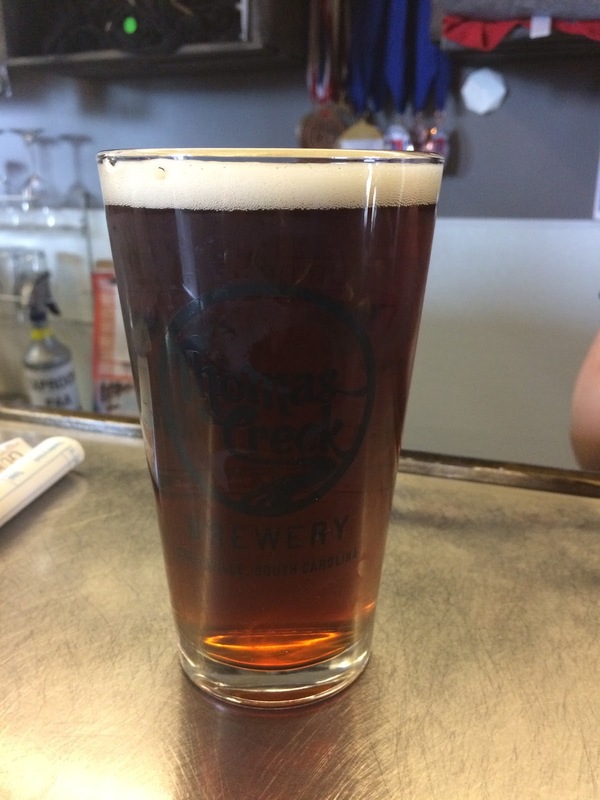 Just snuck out for a quick visit to Thomas Creek, getting a sample of their Gallabrae Scottish Ale, the "Fearlessly Brewed Official Beer of the Greenville Scottish Games" before the crowds show up. Slight smoke in the finish, crisp and dry on the palate, very typical of the 60 shilling style. Just over 5% abv, so easy to handle. Caught Tom Davis sampling some himself. Party starts at 5:30 and goes until the pipers run out of tunes, I guess.